Nanchang is the capital of Jiangxi Province . It has 1,11 million citizens and an area of 70 square kilometers. One of the ancient cultural cities in China, Nanchang was built as early as 201 B.C, and became a famous metropolis in the Tang and Song (618-1279) dynasties. Its geographical location made Nanchang a strategic importance. 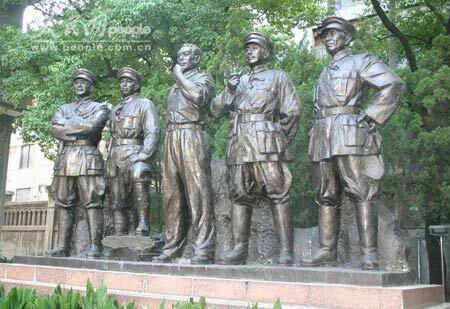 It was the birthplace of the Chinese People@,@s Liberation Army. The annual mean temperature of Nanchang is 17.5C. The spring is warm an rainy; the summer is hot. the autumn is dry; and the winter is snowy.